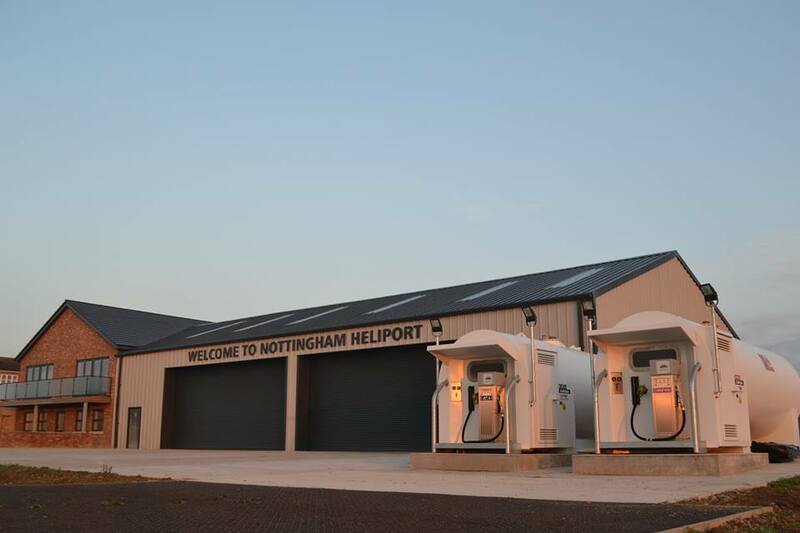 Nottingham Heliport offers both AVGAS and Jet A-1 helicopter fuel at competitive prices. Rotors running refuels are available for Jet A-1 for pilots wishing for a quick 'splash & dash'. Please contact us for further details prior to arrival. Jet A-1 fuel for use in aircraft with turbine engines. Landing fee waived for purchases over 50 litres. Avgas fuel for use in aircraft with piston engines. Nottingham Heliports Jet A-1 and Avgas LL is stored in two 15,000 liter fixed fuel tanks. We provide our customers with the best helicopter refuelling service, available six days a week during normal operation hours and with prior notice out of hours. Please see our arrival and departure procedures before you visit.